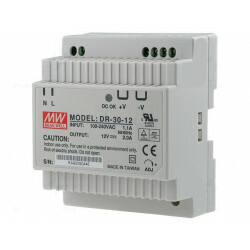 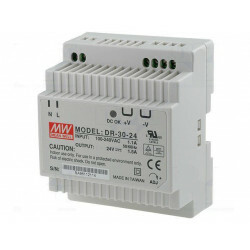 Established in 1982, MEAN WELL is a leading standard switching power supply manufacturers in the world. 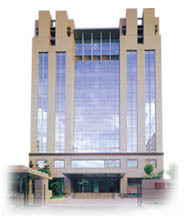 MEAN WELL currently operates under five financially independent but cooperating companies in Taiwan, China, USA and Europe. For more customized demands that can’t be found in our standard product lines, we also can offer CDM (Cooperate Design Manufacturer) solution to combine your specific requirements into our newly design standard products. 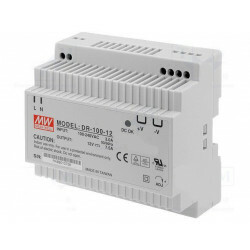 Thanks to our extensive library of circuit solutions, we are confident that we can promptly provide satisfied samples for your review and approval. 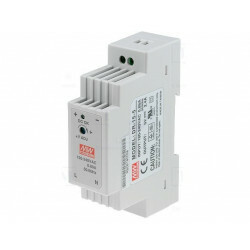 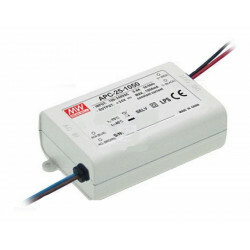 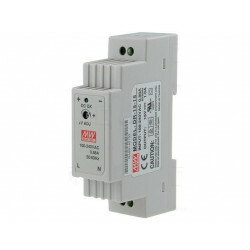 Alimentatore per barra DIN da quadro elettrico switching avente tensione in ingresso universale (85...264V AC, 120...370V DC) e uscita 24V DC stabilizzata con corrente massima di 0,63A.